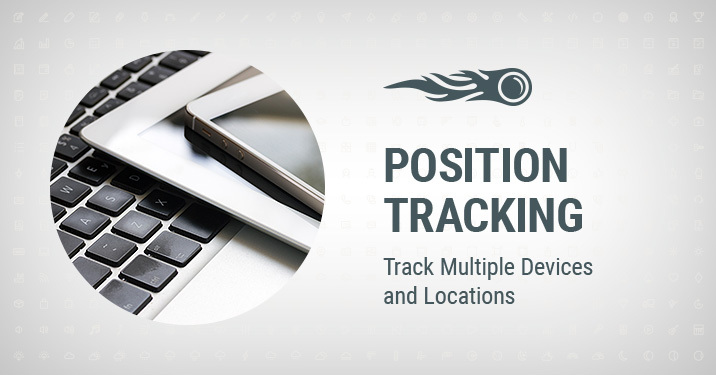 We are proud to add a new feature to the Position Tracking tool — Multitargeting. Now you can use it to track your website’s search visibility across multiple targetings — devices and locations — in one place. What are the benefits of multitargeting? Instead of accumulating separate data in different projects, you can now view desktop and mobile data side by side, and track different local keywords and rankings in the same campaign. First, be sure you have a project with Position Tracking set up, or create a new one. Once you enter the tool, click on ‘Device & Location’ at the top to switch between devices and locations or add new ones. An easy-to-use wizard will help you add up to 10 different targetings to your campaign. If you want to track the same keywords for every device and location, we will offer you the choice to copy them in one click, as well as a list of your competitors. Once you set all the locations and devices, you can now go to the ‘Devices & Locations’ tab for your comparison research. Here you can compare visibility, estimated traffic and average position for your targetings. 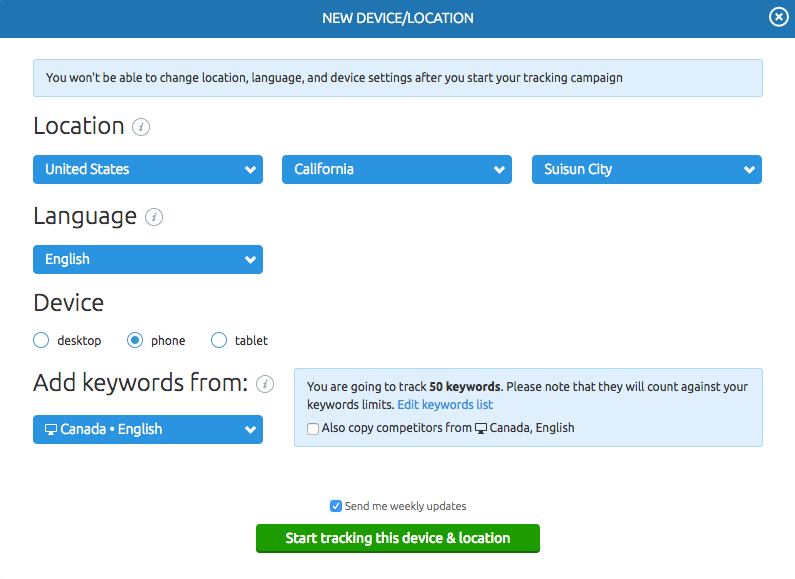 Use ‘Filter by keyword’ to see how your target keywords perform for different devices and locations. Important: The Multitargeting feature is available only with Guru and Business subscriptions. Keywords in each targeting are counted towards your total keyword limit. What do you think about this feature? Send us your feedback to [email protected]. And stay tuned, as we are currently working on integrating Position Tracking with other SEMrush tools and will keep you posted!